Recently, the Supreme Court of the United States agreed to hear a case involving a long-standing circuit split on a key copyright law issue. This decision comes after a South Florida company petitioned the court to take up this case last fall. 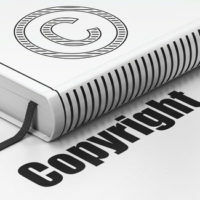 The issue that is at stake in this dispute is relatively straightforward: when can a plaintiff file a copyright infringement claim? In some federal circuits, a copyright application must simply be filed with the United States Copyright Office before a plaintiff gets the right to file an infringement lawsuit. However, in other federal circuits, the copyright application must be filed and formally approved by the United States Copyright Office. Under United State law, an applicant must ‘register’ a copyright before filing a copyright infringement lawsuit under the Copyright Act. This is true even if the alleged copyright infringement has already taken place. Plaintiffs should register their copyright if they are considering taking legal action. Though, there is some confusion in the courts as to what exactly constitutes ‘registration’ for the purposes of U.S. law. In certain jurisdictions, filing an application is sufficient. In other jurisdictions, that application must be reviewed and accepted by the federal agency. This issue is now headed to the Supreme Court because of a case originating out of Miami, Florida. Fourth Estate Public Benefit Corp. had its copyright infringement lawsuit dismissed in the Eleventh Circuit on the grounds that the Copyright Office had yet to act on their application for copyright registration. While the application had already been filed, it was not yet approved. In other federal circuits, such as the 9th Circuit, which covers California, or the 5th Circuit, which covers Texas, Fourth Estate’s copyright infringement claim would not have been dismissed on these grounds. It is now up to the Supreme Court to provide a clear interpretation of U.S. federal law. When Can We Expect a Decision? An ultimate ruling by the Supreme Court should not be expected until the first half of 2019. It will be important to monitor this case as the decision will provide clarity on an important copyright law issue. In addition, this case will bring uniformity to the copyright infringement statutory rules in the different federal circuits across the country. This should reduce forum shopping in some future copyright law disputes. Our top-rated Florida copyright litigation attorneys will be sure to closely monitor any new developments in this case and in all other copyright law issues. At Pike & Lustig, LLP, our dedicated copyright law attorneys are committed to providing the highest quality legal services to our clients. If you need copyright law help in South Florida, please do not hesitate to reach out to us today for immediate assistance. We are standing by, ready to protect your rights. From our primary office in West Palm Beach and our conveniently located second location in Miami, we represent clients throughout the region.